You SEW Girl: New pattern and a workshop vacancy. New pattern and a workshop vacancy. I'm sure there are more enigmatic or poetic titles I could have thought up for this post, but really... it's about a new pattern and a vacancy we have on my Zippers for Bags class on the 17th. 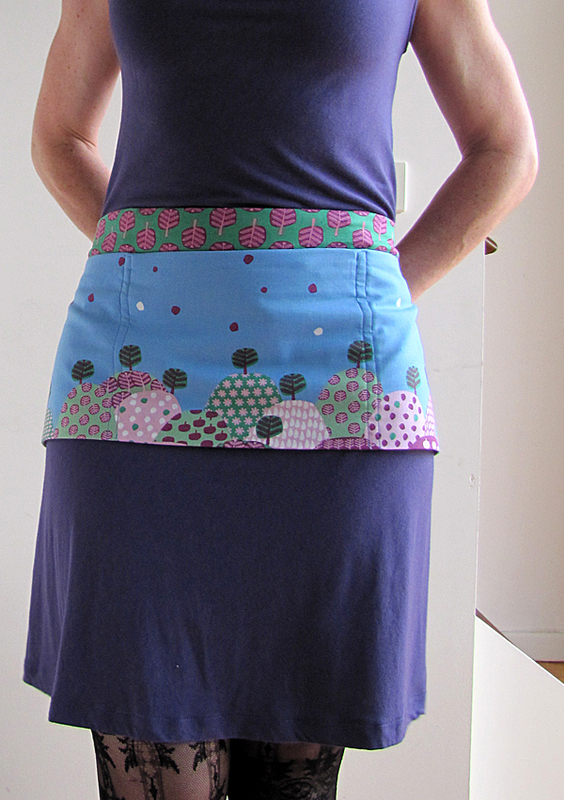 This is a development on the aprons that I made and we used for the AQC, Stitches and Craft and Quilt and Craft shows. I think the design would work equally well for a school fete, craft market, garage sale, sausage sizzle outside Bunnings or any other time you need to handle money away from a cash tin. 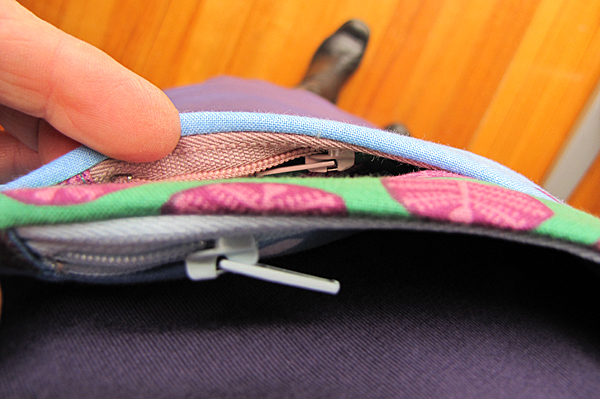 There are also two hidden zipper pockets. When we were doing the shows, we used the front zipper pocket for the working float of smaller value notes, and we put all the large-value notes and credit card dockets in the zipped pocket that is directly against the body. I always felt very safe from the threat of opportunistic theft with this arrangement. At the big craft shows, our stand was often so crowded that we couldn't get back to the shelf where the pens, notepads and EFTPOS machine were kept, and we needed a pocket to carry things like that (and... errr... Lindt balls). 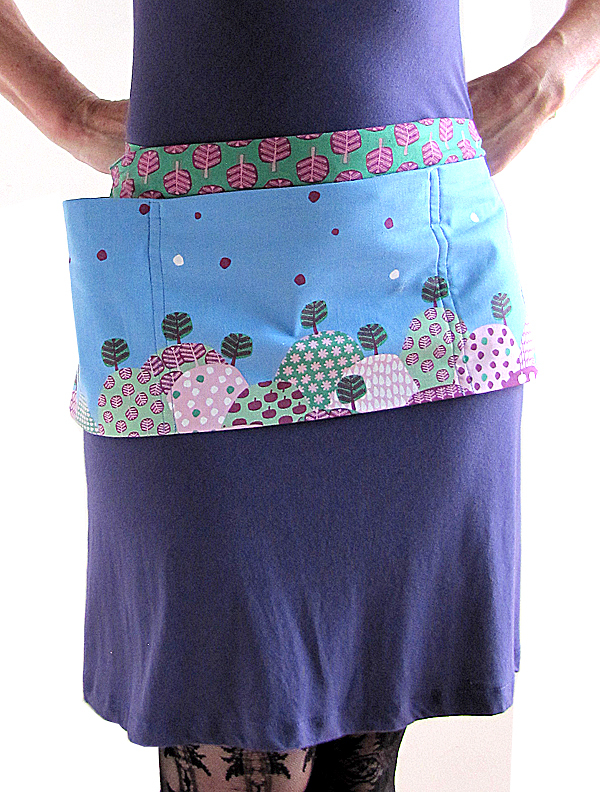 So, I developed the "easy access" pocket (widening the top of the pocket by pleating the waistline). This is an optional variation on the original design that you can take or leave. 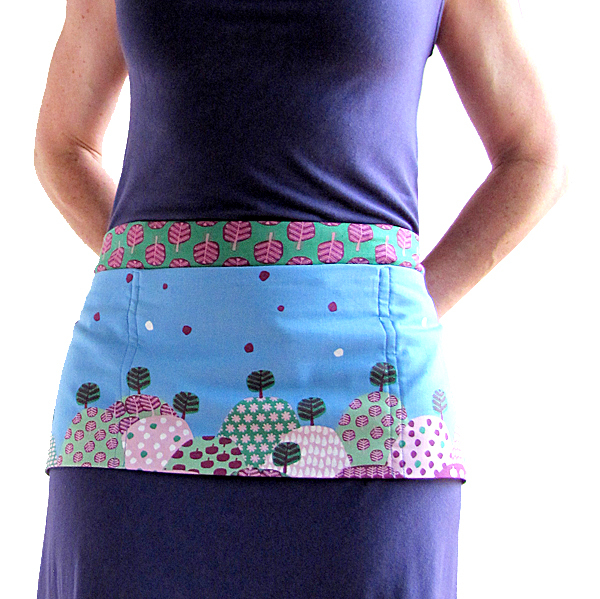 And I nearly forgot to mention the lovely Saffron Craig fabric that I used for this particular apron. These two prints are from the Magical Lands range.... and getting rarer by the day. 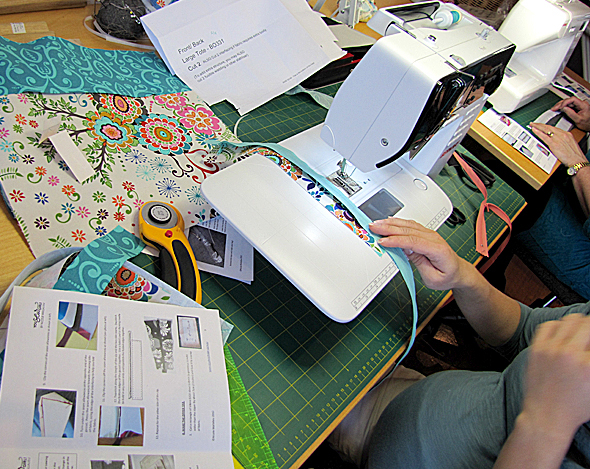 Many thanks to the pattern-testers who volunteered and helped to refine the instructions. Anna has blogged the results of her testing here. I mentioned a Zipper Workshop vacancy... which is a bit like mentioning hen's teeth. We've had a cancellation for 17th November, so if anyone wants to take up the place, I'll throw in a free pattern for you. The listing on the website is for the next Zipper workshop, which is on the 16th February next year, so don't click on that one... you'll need to email or phone us. you are just too smart! I had a zip bag, cross body style - it's practical, but it's a bought one and jet black! not me at all, I just hadn't got round to making something more appropriate. Not sure I'd do too well with stuff strapped round my waist, but it's a really nice apron and, of course with you, very well thought out. Yes, I'll come to your zipper class. If only, eh! Also good use of a border print! Clever design, Nikki! Love those hidden zip pockets. 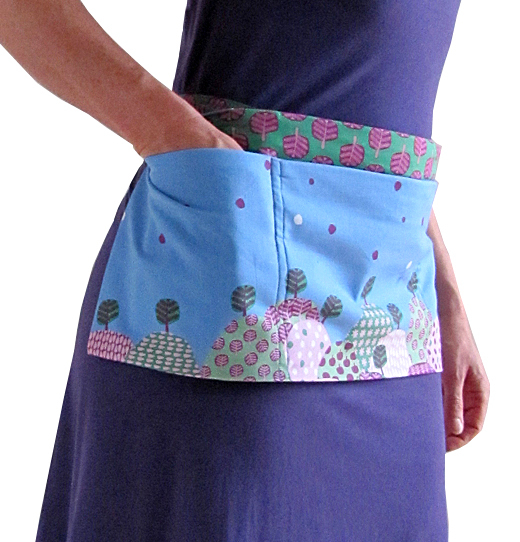 Not only is this apron pretty but it's practical. Perfect! I just downloaded the pattern. It looks good for school and a little prettier than the bumbag I usually wear. It's a great idea and that fabric is fabulous!